When we first saw Pyrolysis it was at Keltfest in 2014 where they crashed the festival and played a great acoustic set. Their bold attitude in playing a festival they weren’t booked for, and the sheer enthusiasm in their music made quite and impression! 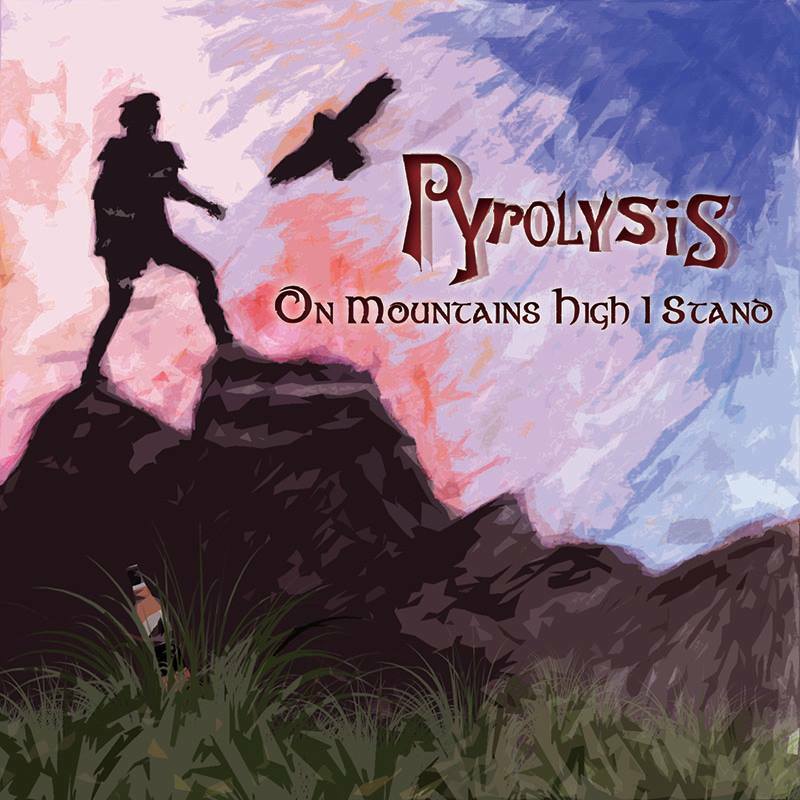 Fast forward to 2015 and now they are ready to release their first full-length album, On Mountains High I Stand, which is where this give-away comes in. From now until Friday the 26th of June, when they have their album release party, you can win a signed copy! To give you an idea of the album I’ll say that it is very versatile. Some of the tracks will remind you of Pyrates!, while others have an energy that I get from for instance The Dolmen. But the tracks that are most important to CeltCast, like our current Monthly Marker “Life At Morrisons”, can be easily described as “Early Rapalje”. We at CeltCast believe that these guys and girl have a bright and long future in Folk music ahead of them, so how awesome would it be to have an “early days album” of Pyrolysis once they are huge and global? 😉 It’s very easy to win, so why wait? Share the post on our Facebook page and comment on it, and you just might be the winner!! And to make it a proper goodie-set, they have decided to throw in a T-shirt and poster as well! Finnish folk-rock band Greenrose Faire are about to release their third album, Feed the Flames, which not unlike their previous albums, combines folk sounds and acoustic instruments with a background in rock music, creating a very typical but very pleasing personal style. But don’t just take my word for it! Win the album and you’ll be enjoying it yourself real soon! During this competition we will release a review of a track from the album every weekday, together with a snippet of background information about that track, written by Greenrose Faire! 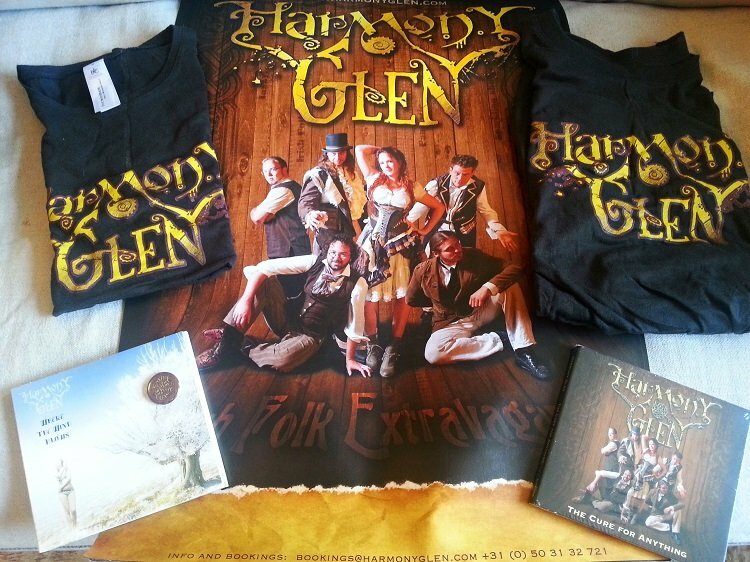 Our good friends of Harmony Glen have graciously donated some great goodies for a brand new joined competition. So if you want to start the new year with some nice shiny gifts, pay attention! So, 8 prizes, 8 winners! Midwinter Fair tickets to be won! On the 6th and 7th of December the twelfth edition of the Midwinter Fair will take place at the Archeon theme park in Alphen aan den Rijn in the Netherlands. Archeon is an outdoor history museum covering the time period from prehistory, through Roman times up to the middle ages. The theme of this year’s Midwinter Fair is Vikings. Blacksmiths, open fire, story telling and even a pagan wedding chapel! Dress up in your favorite viking attire and come join us! The organization have kindly donated two weekend tickets (entry for both days) for CeltCast to give away. Check out the competition page to find out what you need to do win! 3. Tag the band you are really looking forward to seeing. We will invite the most tagged band for an interview. Entry for this competition will close on Thursday the 4th of December at 18:00 CET. We will announce the winner one hour later, so keep a good eye on our Facebook page!